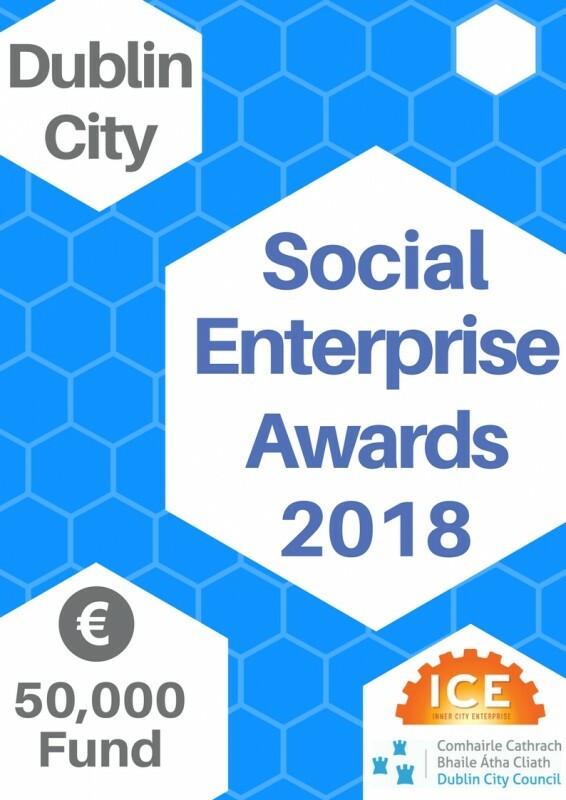 The Dublin City Social Enterprise Awards was established by Inner City Enterprise (ICE) and Dublin City Council with the support of the Local Enterprise Office (LEO) Dublin City in 2015. These partner organisations recognised that there was a gap in the market for small flexible grants to kick-start the creation or development of social enterprises in Dublin City. Each year since 2015, a fund of between €45,000-50,000 has been distributed among innovative social enterprises. The programme and competition aims to increase awareness of the important contribution that social enterprise makes to building communities and in creating employment and developing the skills of the participants who get involved. 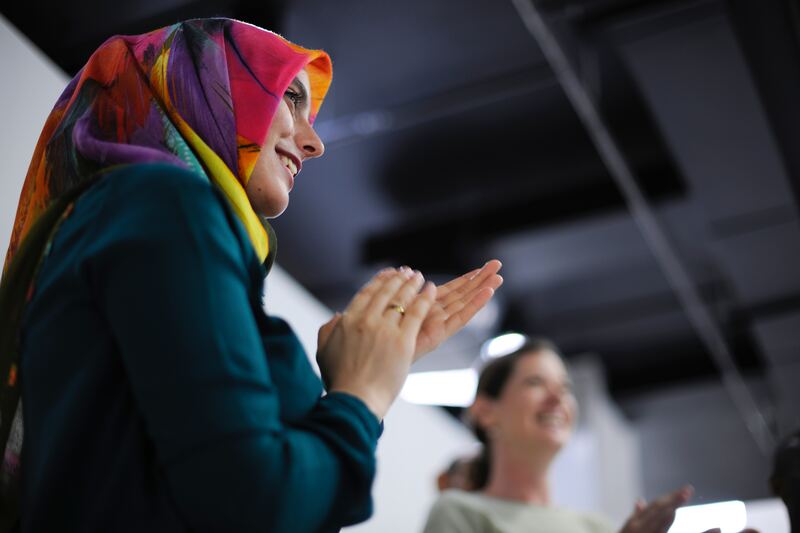 The awards granted to the successful applicants will also allow them to further develop their plans and activities and bring the benefits of their social enterprise to more individuals and communities. Company Limited by Guarantee not having share capital (CLG) and registered with the Companies Registration Office (CRO). Co-operatives which can demonstrate a clear social benefit / impact. Applications will be considered from Private Companies limited by shares (LTD) if the shares are 100% owned by a registered Irish charity. Applicants must be located in the Dublin City administrative area or capable of delivering social enterprise work in this administrative area. Decisions will be recorded and a report will be made to the overseeing Social Enterprise Committee. The shortlisted candidates will be invited to present their social enterprise to the committee. This will involve a 5 minute presentation and a 10 minute question and answer session. The committee will then decide on the successful grant awardees. Applicants must email a completed application form plus supporting documentation to shanemeehan@innercityenterprise.com. 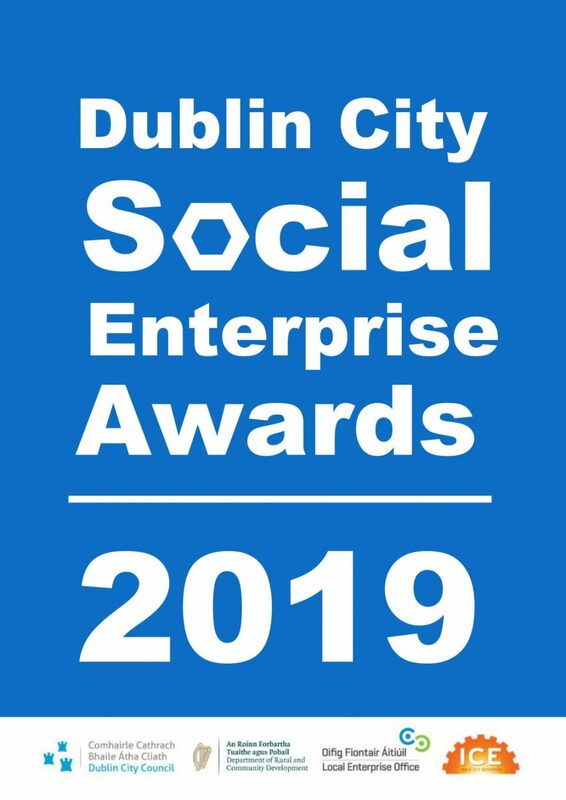 Successful applicants must be willing to allow reference be made to them, for the purpose of case study materials or media reports, which may be used with regard to the Dublin City Social Enterprise Awards for the purposes of further promotion of the scheme. All applicants will be eligible for group mentoring sessions, hosted by the Dublin City – Local Enterprise Office, in the areas of marketing and finance. Once all of the conditions of drawdown have been met, award funds will be paid to the successful applicants. The Dublin City Social Enterprise Committee reserves the right to extend this deadline. All applicants will be notified by post regarding the status success/failure of their application. Applicants must email a completed application form plus supporting documentation to Innercityenter@gmail.com. In addition an original signed copy of the application form (only) is required to be forwarded by post/hand to Inner City Enterprise, Unit F4 Spade Enterprise Centre, North King Street, Dublin 7. Due to phenomenal demand ICE are delighted to announce the Social Enterprise Grant 2017 deadline is being extended to Friday 2nd June 2017. The Social Enterprise Grant Scheme is a scheme established by Inner City Enterprise (ICE), and drawn down under the Local Enterprise Office (LEO), Dublin. The scheme currently has €50,000 at its disposal and is being set up to provide a small number of flexible grants for Social Enterprises, either at start-up or development phase. Applicants must be located within the Dublin City Council administrative area. Applicants must be either a company limited by guarantee or a co-operative. Applicants need a current Tax Clearance Cert in place. Projects will be deemed ineligible if they are regular commercial businesses whose sole aim is to generate profits for Owners/Directors/Shareholders. Projects will be deemed ineligible if in debt or if threatened insolvency is an issue. Projects cannot be in receipt of other statutory grants. Number of direct/indirect jobs to be created. Decisions will be recorded and a report made to the overseeing Social Enterprise Grant Scheme Committee. A number of shortlisted candidates will be invited to present their project/ social enterprise to the Social Enterprise Grant Committee. This will involve a 5-minute presentation and a 10-minute question and answer session. The Social Enterprise Grant Committee will then decide on the successful grant awardees. Applicants must email a completed application to innercityenter@gmail.com and forward by post, a hard copy of the application to Inner City Enterprise, Unit F4 Spade Enterprise Centre, North King Street, Dublin 7. A Letter of offer will be issued to successful candidates and this will include terms and conditions of drawdown of the grant funds. The Letter of offer will need to be signed and returned within a month of receipt. Applicants will be required to submit a copy of their registration documentation from the Company’s Registration Office (CRO) and a current Tax Clearance Cert. Public liability insurance will need to be in place and evidence provided. All successful applicants must agree to work with a mentor assigned by Inner City Enterprise or the Local Enterprise Office. Successful applicants must be willing to allow reference be made to them, for the purpose of case study materials or media reports, which may be used by Inner City Enterprise or the Local Enterprise Office to further promote the Social Enterprise Grant scheme. All applicants will be eligible for group mentoring sessions, hosted by the Dublin Local Enterprise Office, on marketing and finance. Once all of the conditions of draw down have been met grant funds will be paid to the successful applicants. The closing date for applications is 2nd June 2017. Inner City Enterprise reserves the right to extend this deadline. All applicants will be notified by post of the success or failure of their application. Inner City Enterprise along with the Local Enterprise Office and Dublin City Council were happy to be able to present the grant to the successful applicants of the ICE social Enterprise Grant Scheme in the Dublin City Council offices, Wood Quay. In attendance and speaking at the presentation were Minister for Social Enteprise Anne Phelan TD, Councillors Daithi Doolin and Paul McAuliffe, Brendan Kenny the Assistant City Manager, as well as Dublin Local Enterprise Office CEO Greg Swift and our own Evanne Kilmurray, CEO of ICE.